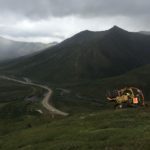 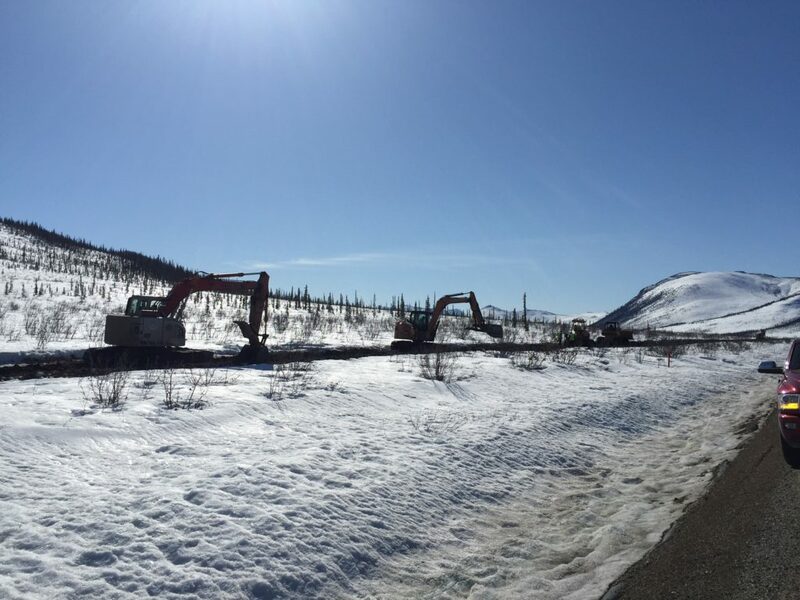 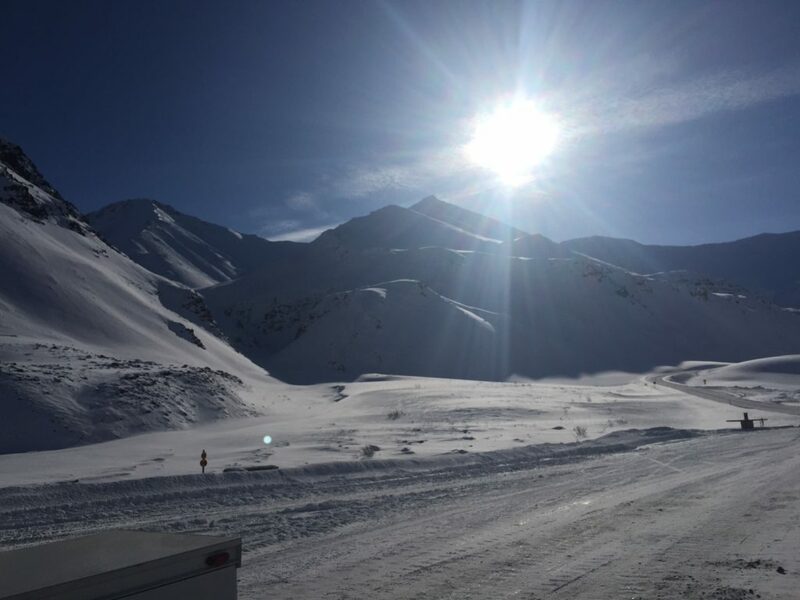 Drennon Construction – Coldfoot to Deadhorse Long Haul Fiber Project Segment 4 –MP 175‐242 of the Dalton Hwy ~69.9 Miles. 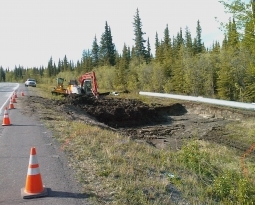 Home / Current Projects / Coldfoot to Deadhorse Long Haul Fiber Project Segment 4 –MP 175‐242 of the Dalton Hwy ~69.9 Miles. 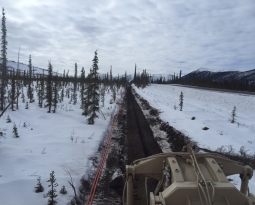 Successfully installed, and restored landscape to original condition on over 60 miles of 2 separate 1 ¼-inch fiber optic conduit HDPE conduits, and approximately 100 slack or splice hand hold boxes for a new back bone fiber line in remote areas of northern Alaska. 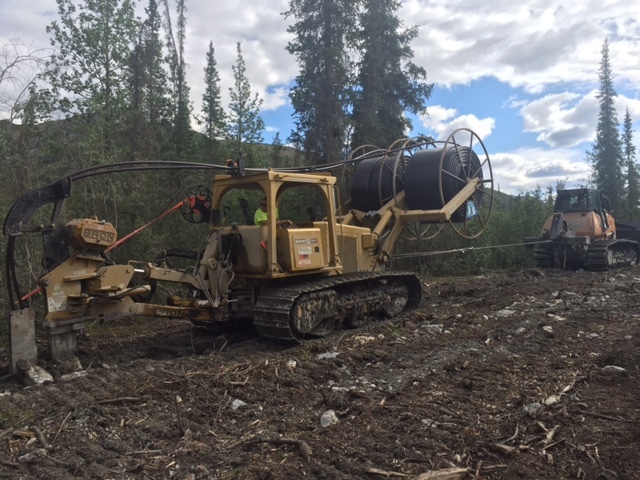 The fourth segment of the system will later tie into both phases 1 through 3 (ongoing), and AT&T’s existing southern cable route (Fairbanks to Coldfoot) to form a complete system. 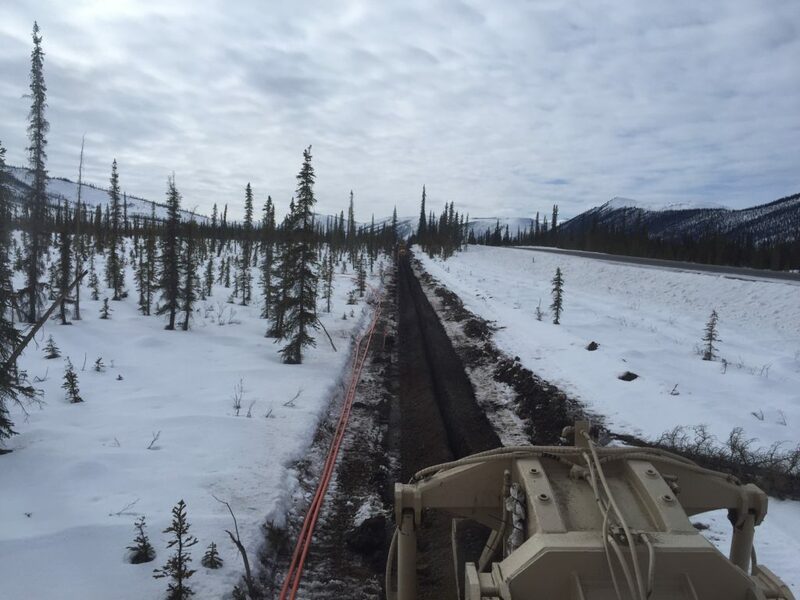 It will provide advanced high speed voice and data network. 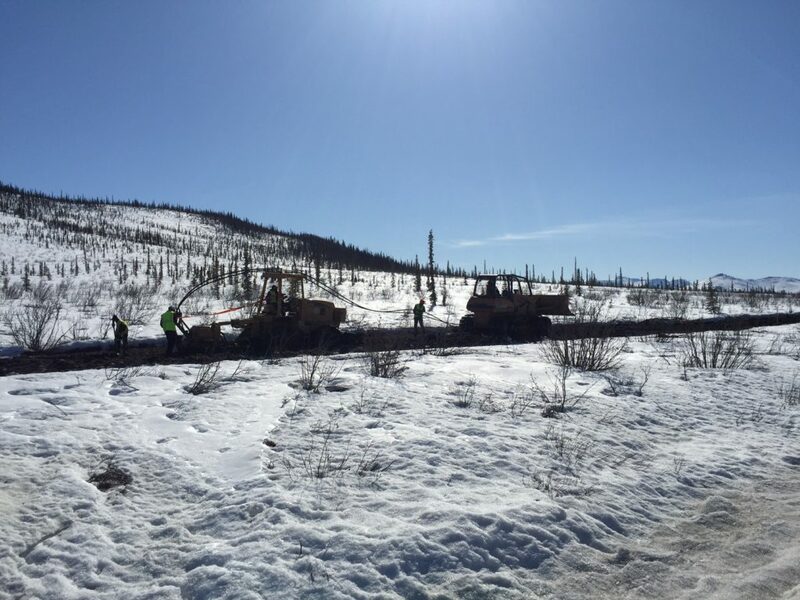 Once completed in full, this system will connect Fairbanks, Alaska to the remote oilfields in Deadhorse and Prudhoe Bay, Alaska. 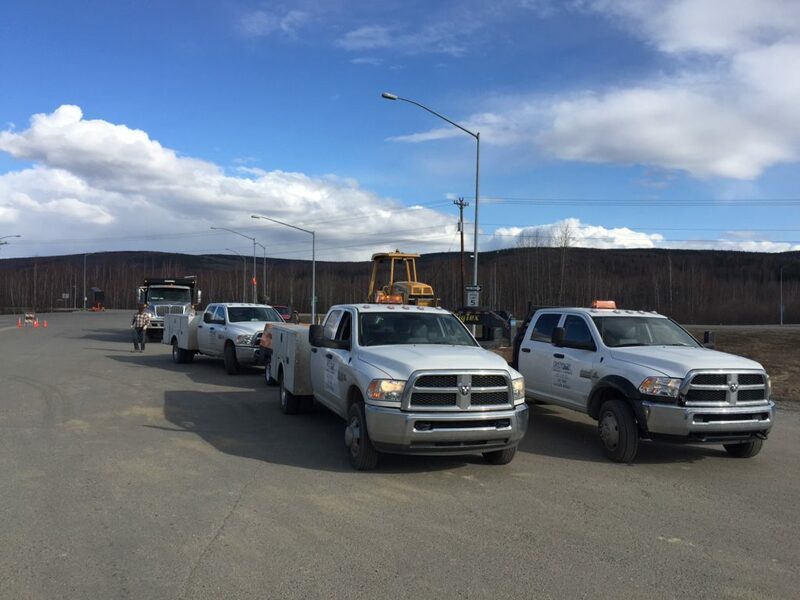 During DCC’s installation of the new system, major logistics challenges would require both vast advanced planning, and equipment/parts redundancy. 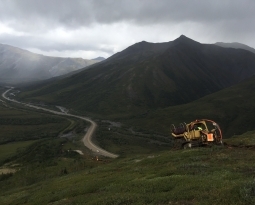 Materials and parts were often 10 or more hours and/or multiple days away from the project. 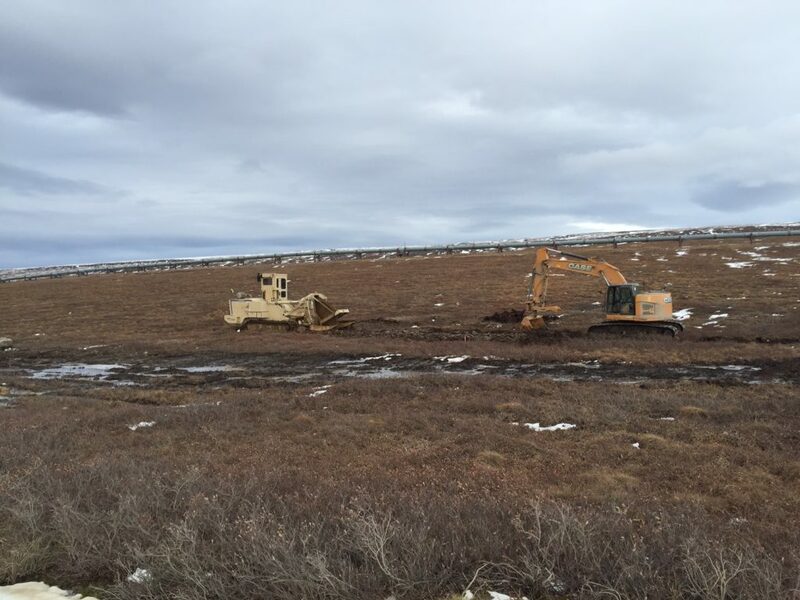 It was often necessary for DCC personnel to transverse multiple environments, terrain, and soil conditions. 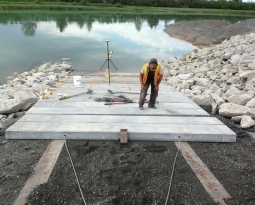 DCC employed a large mix of specific specialty equipment for this project to overcome such obstacles. 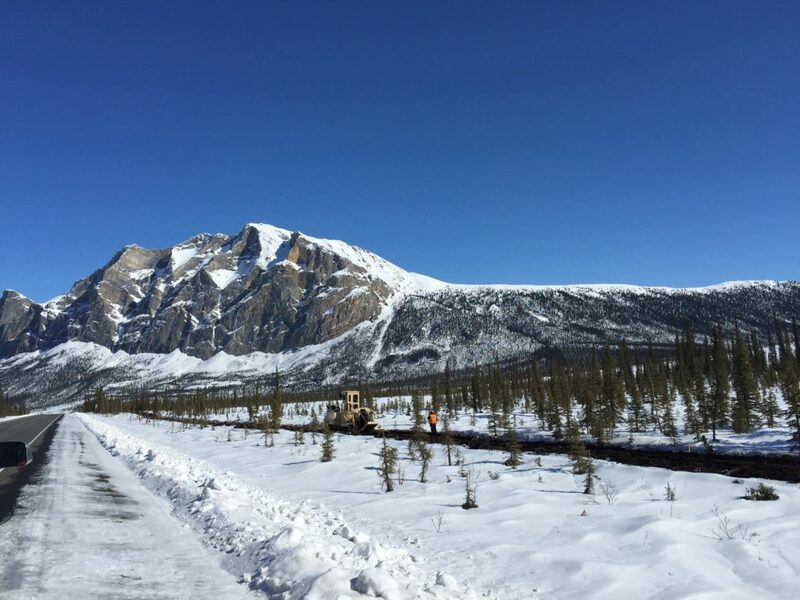 Specialty equipment included but is not limited to the following: a 1150 Tesmec rock saw for pre-sawing of frozen and rocky areas, Vermeer 1150 chain trenchers and plows, Bron 150 hydrostatic vibratory plows, and multiple small and large excavators 5 – 30 tons. 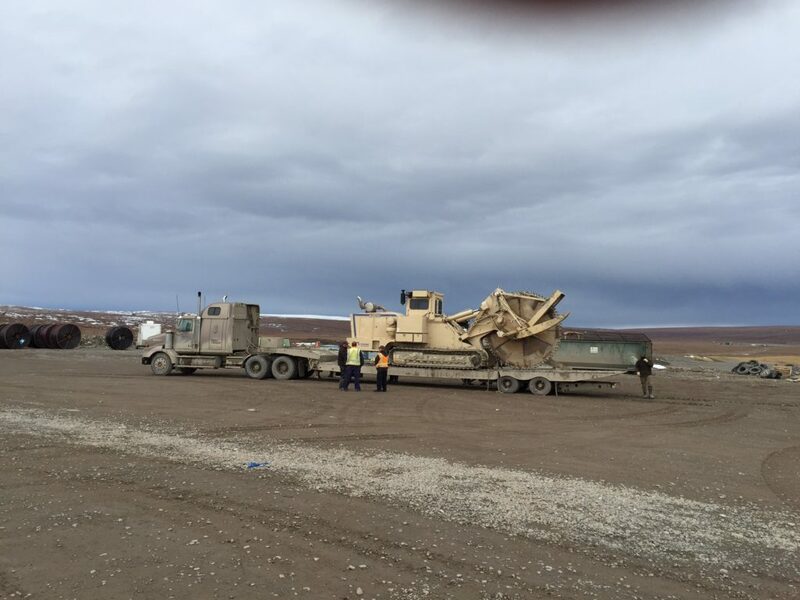 This equipment required the support of trucks and trailers, as well as other specially equipment when needed.